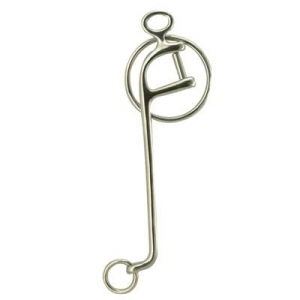 We are a large source for thousands of Horse Tack Products. From Horse Bits and many other Interchangeable Walking Horse Shank with Rings. HorseTackNow offers top quality items at great prices. Read more about this product below. This luxurious shanks is a 10'' Walking Horse Interchangeable Shank with Rings. Horse Tack Now is the ultimate source for horse tack supplies on the web.